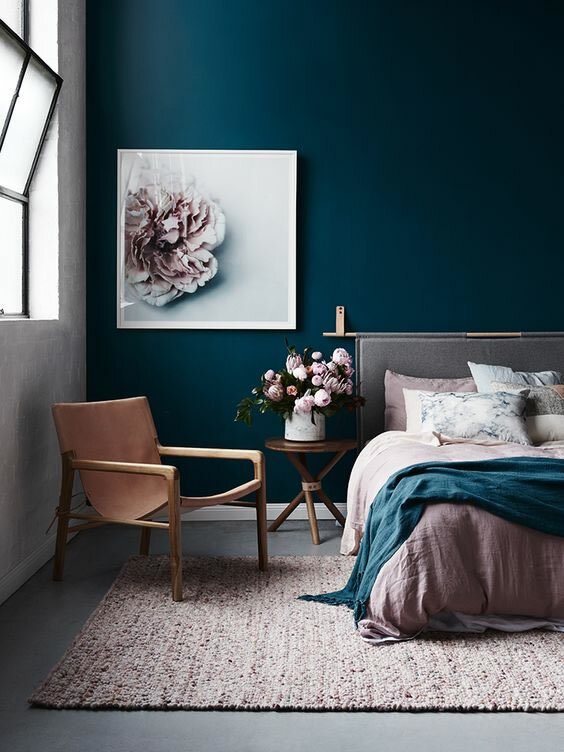 Navy blue or black wall color will compliment natural tones and pair it with all white bedding for a super cozy and room darkening vibe. Dark colors add dreamy vibes, drama, and a sense of movement to a space. Example colors are: Exotic Purple, Toucan Black, Admiral Blue. 2. Bold colors - if you paint your room a shade of your favorite color, it will always greet you warmly and make you instantly happy, even after a bad day. Example colors are: Peony, Nacho Cheese, Plum Perfect. 3. 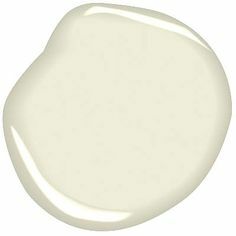 Super white - always a good way to start if you’re afraid of color. Then you can add color in your lamps, bedding and accessories. 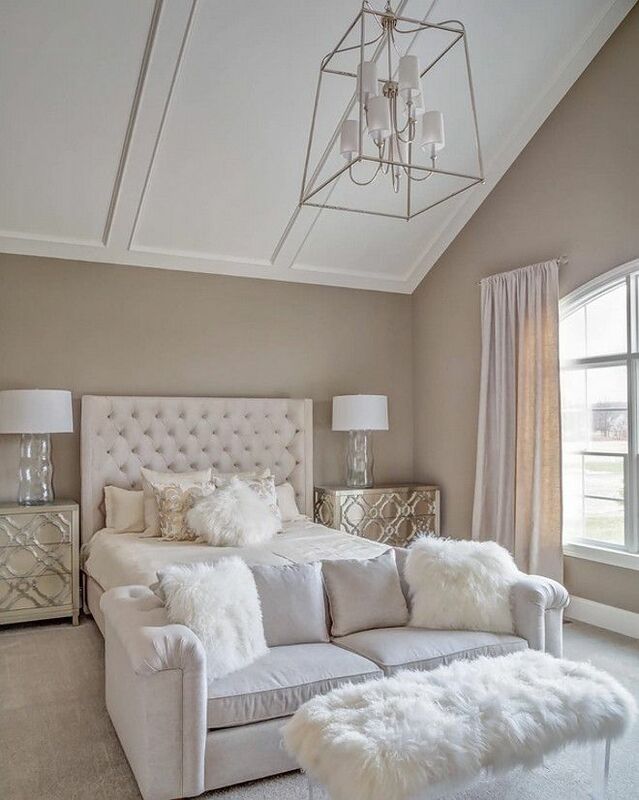 This super white idea is so simple and serene, all white walls have a calming effect. Example colors are: Parish White, Alabaster, Lambskin.